The cooler temperatures of Fall make it the best time to plant a tree in the Southeast. The mild Fall and Winter weather of South Carolina allow the roots, from fall-planted trees to establish before Spring. Because the tops of the trees are dormant during the colder months, all their growing energy is sent towards root growth. When Spring does arrive the expanded healthy root system can support and handle a full surge of spring growth. When buying trees for your landscape look for healthy well-grown trees. Read the plant specifications tag included in the pot before making your purchase. Where are you going to plant your tree? How big will it be at maturity? Will it grow better in sun or shade? Are you planting it for shade, privacy or as a screen? What type of soil will it be planted in? Clay or Sand? Does it need a moist or dry location? 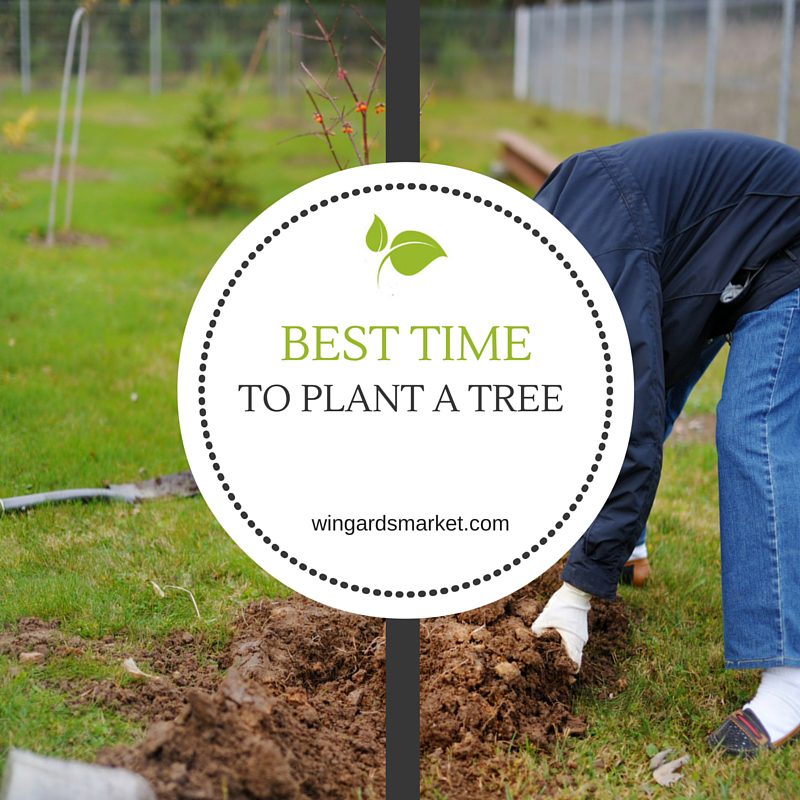 Now that you have determined placement and soil conditions, it is time to plant your tree. Here is a step-by-step guide to help you plant your trees. At least 3-4 business days before you begin, and to avoid cutting any underground wire or pipes, call PUPS (Palmetto Utility Protection Services) to request that they mark any underground lines. This is a free service – Call 811. Match the tree with the site. Keep in mind the mature size of the plant, moisture in the soil, and sun requirements. It is especially critical that you know where the afternoon sun shines directly on your landscape during the summer months. Consider areas of your landscape that receive the afternoon sun in the summer to be “full sun” areas, even if they are shaded in the morning. “Shade plants” need afternoon shade in the summer. Most trees can take full sun. We recommend Japanese Maples and Dogwoods be planted in an area that gets morning sun and afternoon shade. Redbuds and Magnolias may be planted in sun or shade. Dig the planting hole roughly 2 times wider than the diameter of the root ball. Measure from the topmost root to the base of the root ball to determine its height. In sandy soil, dig no deeper or slightly less than the height of the root ball. In clay soil, dig 3 to 4 inches deeper than the root ball and backfill the bottom of the hole with a mixture of soil conditioner and clay. The hole should be bowl-shaped with the sides sloped. Save the soil to mix with amendment and pack around root ball after planting. Clay Soil: If your soil type is clay, amend the soil dug from the hole by mixing with an equal amount of Wingard’s Lake Murray Soil Conditioner to promote drainage and aeration. 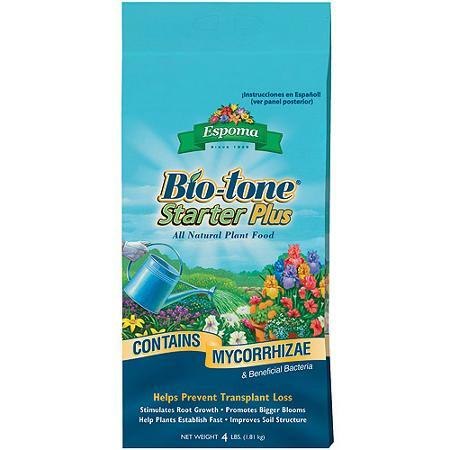 Add Bio-tone Starter Plus 4-3-3 to maximize root growth. Sandy Soil: If the soil type is sand, amend the soil dug from the hole by mixing with an equal amount of Wingard’s Lake Murray Premium Potting Mix to provide nutrients and hold moisture. For container grown trees, score or cut the sides of the root ball in 3 or 4 places, from top to bottom, about 1 inch deep to encourage roots to grow outward. For “ball and burlap” trees, remove any twine or strapping after placing in the hole, but do not remove burlap or wire basket. If there is a wire basket around the root ball, push wire below ground level or cut top 3 inches off. Do not break up the root ball. Place the tree in the hole so that the top of the root ball is slightly higher than the surrounding soil level. Backfill amended soil removed from the hole. Tamp soil around plant firmly, and cover exposed roots above ground. The worst mistake is to plant too deep. Create a one-to-two-inch berm of soil around the edge of the planting hole to hold water. Fill the “saucer” with water once or twice. During the first two weeks, check soil moisture level daily by digging down 6 inches to see if the soil is moist below ground level. Water thoroughly if the soil is dry; be sure water is getting down through the soil to the roots of the plant. Clay soil needs proper drainage; sandy soil dries out quickly. Generally, water once a week in Winter, and continue to water a newly planted tree through Spring and Summer for one year. However, remember watering frequency depends on many factors like rainfall, temperature, and soil type. Check the underground soil moisture level frequently, and adjust your watering schedule accordingly. Keep in mind that lawn sprinkler systems are designed for grass roots, which are 3 to 4 inches deep. Trees and shrubs have roots that are 1 ft. deep or more, and need more water than a lawn sprinkler can provide. Fertilize appropriately. When planting a tree add Espoma Bio-tone Starter Plus 4-3-3 to the soil to maximize root growth. Fertilize after the first year and annually thereafter with a tree and shrub fertilizer (19-8-10). The best time to apply fertilizer is in the early Spring. Disease and Insect Infestations. If you suspect a problem with insects or fungus, clip off a leaf or small branch and bring it to the nursery. We will help you identify the problem and choose the right treatment. We want you to be a successful gardener! Stop in and let our experienced gardeners help you choose the perfect tree to add value and beauty to your home.